The Hernandez family of East Harlem, New York, was still dealing with one tragedy when another one nearly fell upon them. In 2014, an infamous gas explosion destroyed their apartment, killing eight-year-old Rosalie Hernandez’s older sister and mother. Six others died in the blast. 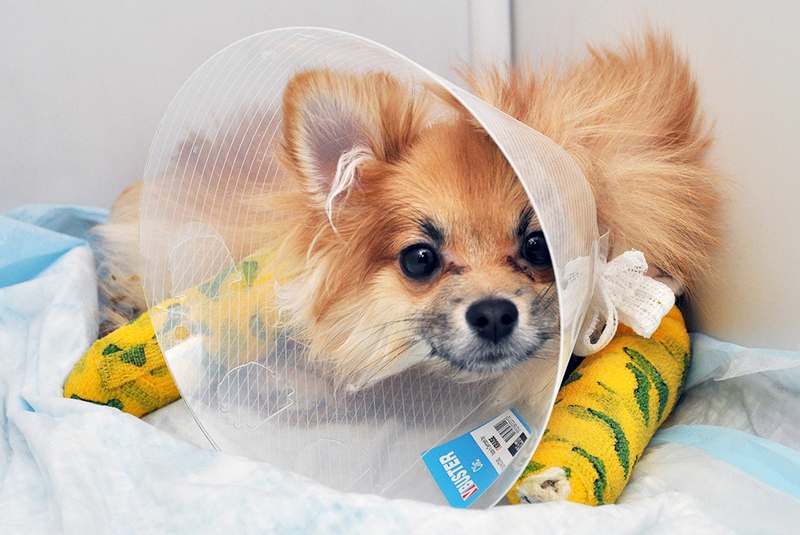 In an effort to help the family—especially Rosalie’s 15-year-old brother, Oscar, who was critically wounded in the blast—a friend offered them a Pomeranian puppy named Speedy. “He was a very good therapy dog for the whole family, especially Oscar,” said Rosalie’s father, José Hernandez, through an interpreter at the ASPCA. “He really helped our recovery process.” But at a birthday party last March, Speedy leaped from someone’s arms and fell awkwardly, breaking both of his front legs. José took Speedy to a local veterinarian. “We thought we would have to euthanize him,” he said. An X-ray of Speedy’s broken legs. The family was referred to the ASPCA Animal Hospital, where veterinarians assessed Speedy’s injuries and determined that they could help. Sadly, what happened to Speedy is not unusual in toy breeds, or dogs weighing less than seven pounds, including Chihuahuas, Yorkshire terriers, and Maltese. 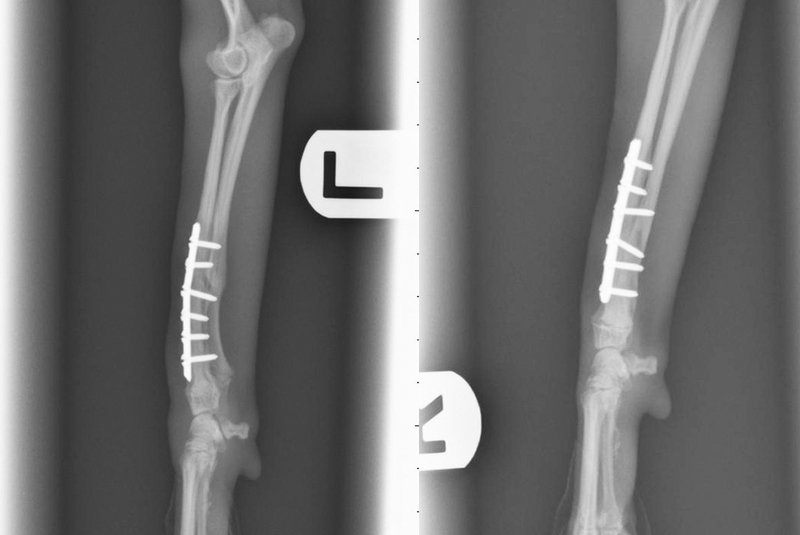 “These are common injuries as these dogs tend to jump down from furniture or out of their owner’s arms and then sustain a break,” says ASPCA veterinarian Dr. J’mai Gayle, who repaired Speedy’s legs with bone plates and screws. 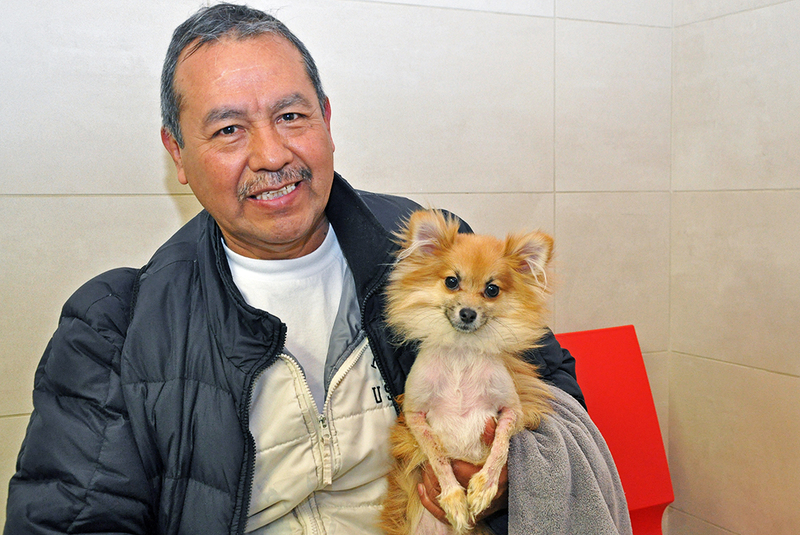 Doctors at the ASPCA Animal Hospital were able to repair Speedy’s legs with bone plates and screws. 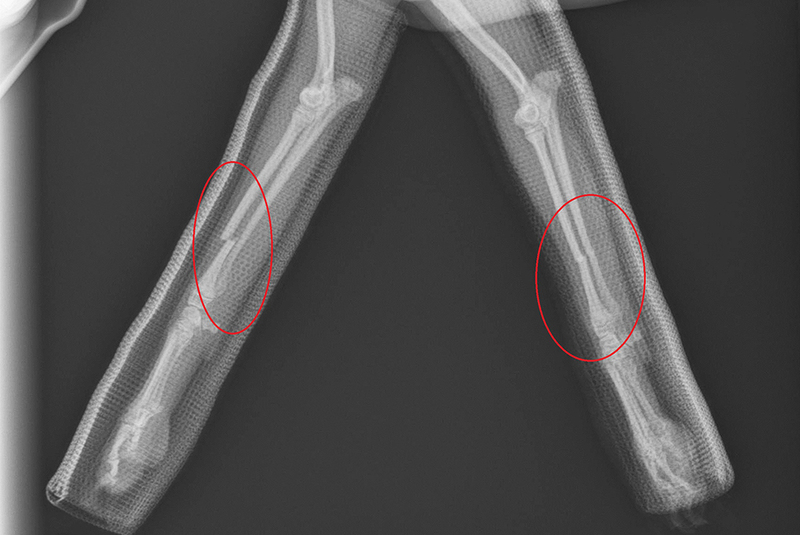 Toy breeds’ small bone structure makes them more vulnerable to traumatic injuries. They also often have thin skulls and misaligned teeth, which can lead to medical problems. And because they’re so small, toy breeds can easily fall from a handler’s arms or purse, get stepped on, or fall victim to predators. “Poor breeding practices are also to blame,” says Dr. Gayle, noting that toy dogs are very popular, especially in crowded areas like New York City. Speedy recovering in the ICU.